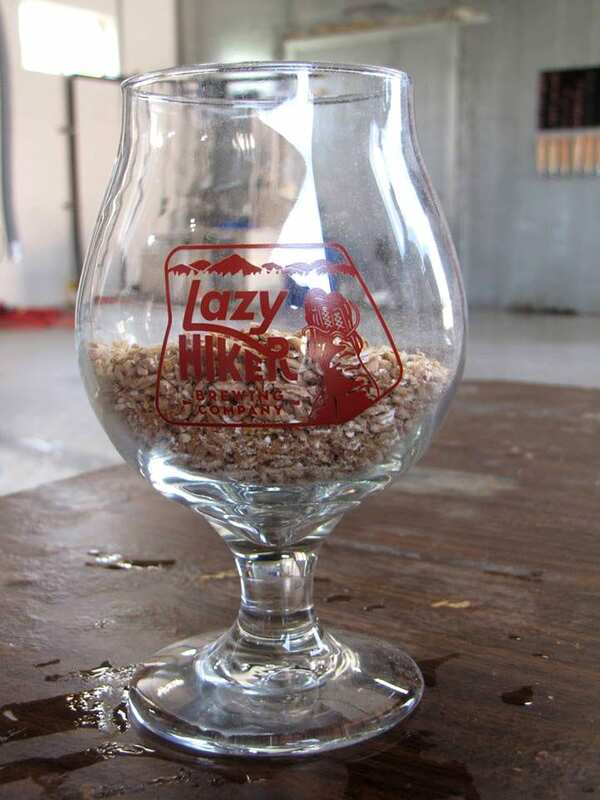 FRANKLIN – A collaboration between Lazy Hiker Brewing Company and Mainspring Conservation resulted in a beer brewed with local ingredients that will help raise money for the nonprofit. 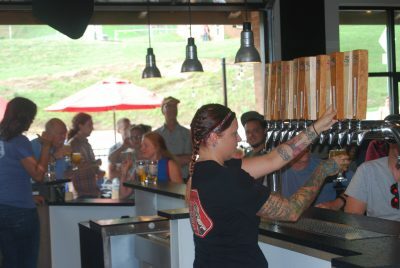 In honor of Mainspring’s work in North Carolina, Lazy Hiker Brewing Co. released a rye farmhouse saison called Needmore Ale last Thursday. 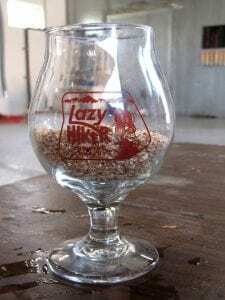 Lazy Hiker and Mainspring staff brewed Needmore Ale using North Carolina grown grains malted by Riverbend Malt House in Asheville, and Epiphany Craft Malt in Durham. The malt bill features barley and rye as well as the wheat-rye hybrid “triticale” resulting in a flavorful beer that is accented by the Belgian yeast and further enhanced by the spicy flavors of the Jarrylo hop. Needmore Ale is light golden in color with a spicy sweet malt body offset by the bone dry mouthfeel. A saison for summer, Needmore Ale is 5.4% ABV (Alcohol By Volume) and 18 IBUs (International Bitterness Units on a scale from 0 to 100). Five percent of the sale proceeds of the Needmore Ale will be donated to Main Spring Conservation Trust to support Mainspring’s ongoing conservation work in our region. Mainspring Conservation Trust has been conserving rivers, forests, farms, and heritage of Western North Carolina since 1997. Originally formed as a land trust, Mainspring has conserved more than 36 miles of river frontage and 24,000 acres. Mainspring has expanded its programs to include stream restoration, hands-on educational programs for school-aged children (reaching 2,998 kids in 2015), aquatic biomonitoring, cultural heritage programs (partnering with the Eastern Band of the Cherokee, among others), and brownfield restoration. Taylor spoke to a crowded Lazy Hiker tasting room on Thursday and explained that one of the earliest “signature” projects of Mainspring Conservation Trust involved conservation of 4,500 acres of river frontage and adjacent land known as the Needmore Tract, an area of unparalleled beauty and biodiversity. The tract has since expanded to more than 5,000 acres and held by the State of North Carolina for use as public game lands. With Mainspring’s work on the Needmore Tract, it seemed fitting to name the collaboration beer in honor of one of its first projects.